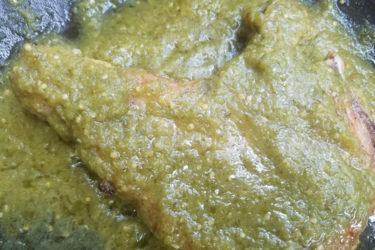 This authentic Mexican pork chops recipe in a made-from-scratch salsa verde are delicious and perfect with yellow or white rice. It's a quick and easy meal. 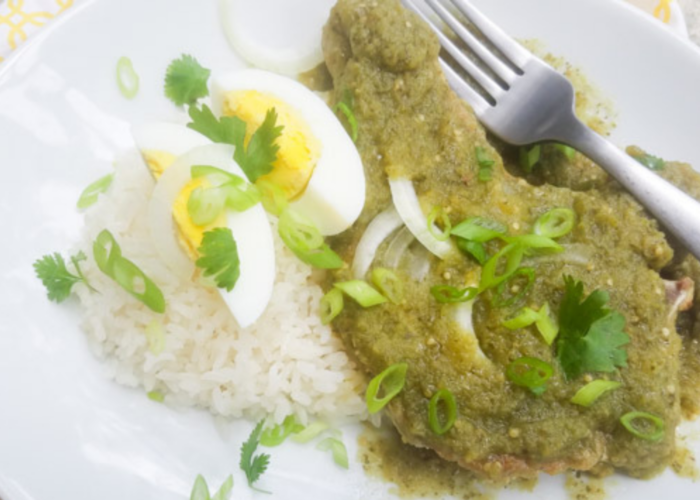 These chuletas de puerco en salsa verde are a quick and delicious meal you must try. 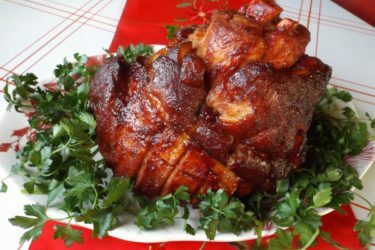 The word chuleta actually means “chop” and “puerco” means “pig” or better yet in this case “pork” hence, pork chops. 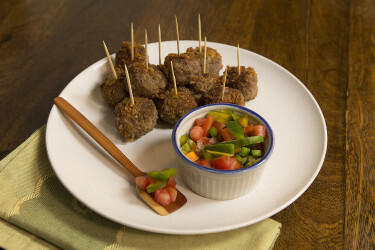 Serve these with white or yellow rice and thinly sliced onions and maybe a boiled egg quartered, and you’re in business. These are actually super easy, especially if you already have the salsa verde ready. If not, no biggie, salsa verde (green sauce) only takes 15 minutes to make. This is a meal you can prepare in 40 minutes, so no worries. You can also buy store-bought salsa verde. Of course, it will not taste exactly the same as using and making a fresh salsa at home, but it will certainly still be delicious and work quite well if you’re trying to cut down a little on time. 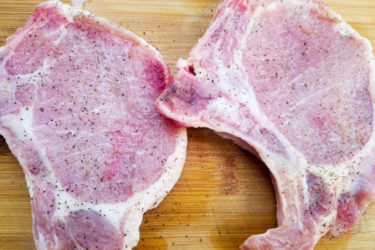 Start with seasoning the pork chops (chuletas) with a little adobo (optional, if not use salt), cumin and pepper. Set aside. 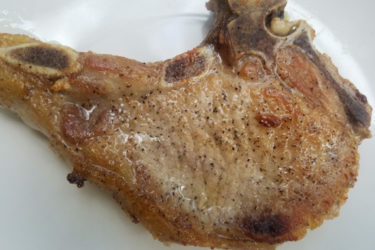 Note: Thin pork chops work best with chuletas en salsa verde; do not use overly thick pork chops. Move onto the salsa verde, if you're making it from scratch. Boil a pound of tomatillos, a small onion, 1-2 serrano peppers (you could also use jalapeños) and 2-4 garlic cloves, for 10-15 minutes. Add everything to a blender with a handful of fresh cilantro leaves. Once blended, add salt to taste. Done. Now move on to frying the pork chops. Heat a skillet over medium heat with 2 tablespoons of oil. Fry until golden brown on both sides. Remove and set aside on a plate. Add half the salsa verde to the skillet and cook for 5 minutes. Add pork chops, and top with the rest of the salsa verde. Lower the heat and cook for another 10 minutes. Done! Serve your chuletas de puerco with white or yellow rice and thinly sliced red or white onions. 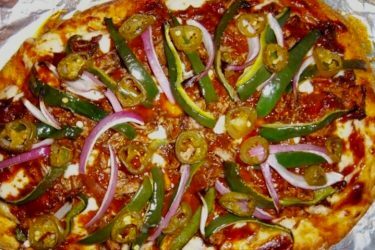 Enjoy this spectacular dish! Season pork chops and set aside. Add tomatillos, onion, garlic and serrano peppers to a pot of water and cook for 10-15 minutes over medium-high heat. The tomatillos will turn a different shade of green. Drain and place in a blender or food chopper with half a cup of the water it was cooking in. Add cilantro and salt to taste. Blend until smooth. Add about 2 tablespoons of oil to a skillet and heat over medium heat. Add a couple of pork chops comfortably to the skillet; do not overcrowd. Cook two or three at a time. Cook until golden brown on each side. Remove from skillet. Repeat with all pork chops. Set all pork chops aside. Add 2 more tablespoons of oil and heat through. Add half the salsa verde to the skillet and cook by itself for 5-10 minutes on low-to-medium heat. Add all the pork chops to the skillet and top with the rest of the salsa verde. Cook for another 5-10 minutes. Serve with white or yellow rice and thinly sliced white or red onions. A boiled egg, quartered and avocado slices are perfect here too. You could also serve with potatoes. 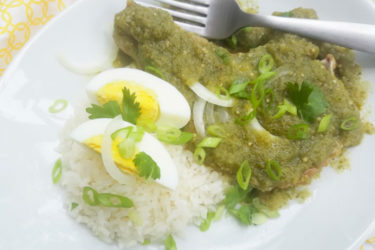 Adobo is not authentically used for these chuletas de puerco en salsa verde but I like the flavor, totally optional.